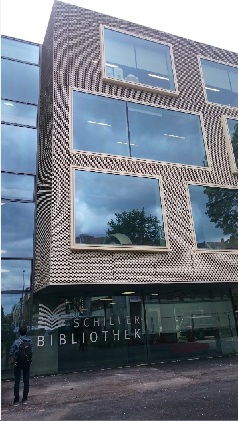 The new building of the Schiller-Bibliothek in Berlin-Mitte comprises 3 floors for the public library operation on approx. 1800 m² floor space. 'Youth Bistro' and 'Youth Library' with hands-free area and workplaces and 'Chill-Area'. 2 function rooms and a non-public administration floor. The building is architecturally characterized by open floor plans, concrete core activated ceilings and a high proportion of exposed concrete and glass. The aim was to create room acoustics suitable for the usage and the regulations in public areas such as borrowing, work and free-time areas, in 2 function rooms as well as in the administration premises. For the sake of acoustic comfort due to low reverberation times and thus low background noise levels, a sufficiently high damping and reduction of the sound propagation was to be ensured. 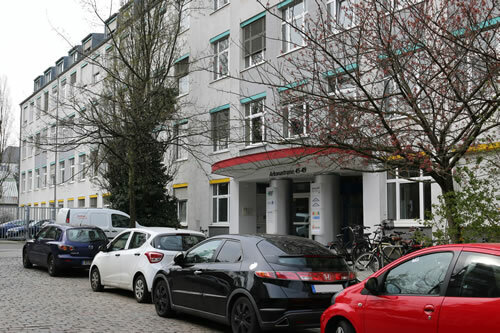 For the soundproofing, building acoustics additional work for the installation of an air conditioner on the roof of the building was carried out.